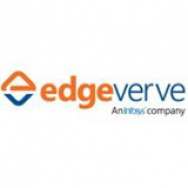 EdgeVerve Systems, a wholly owned subsidiary of Infosys Limited, develops innovative software products and offers them on-premise or as cloud-hosted business platforms. Our products help businesses develop deeper connections with stakeholders, power continuous innovation and accelerate growth in the digital world. We power our clients’ growth in rapidly evolving areas like banking, digital marketing, interactive commerce, distributive trade, credit servicing, customer service and enterprise buying. AssistEdge, our flagship offering in the automation space, is an award winning, proven and scalable platform that helps enterprises in end-to-end service modernization through automation thus reducing operational costs by 20%.